After days of rumour and whispers, the new Doctor Who was finally unveiled last night on a BBC One special hosted by Zoe Ball. And sure enough, all the rumours and indeed the hopes came good as Peter Capaldi was named as the 12th Doctor. 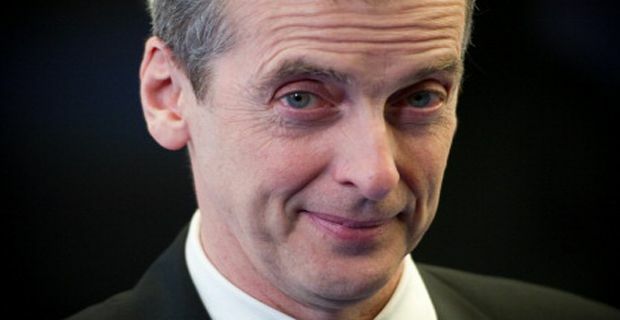 The irresistible vision of Malcolm Tucker as Doctor Who has proved overwhelming in recent days as the mental image of a foul mouthed, rapier witted, megalomaniac Machiavellian stepping into the Tardis grew increasingly seductive. Stephen Moffat, the chief writer and one of the producers described Capaldi's casting in the role as an "incendiary combination". "One of the most talented actors of his generation is about to play the best part on television" he added. Moffat went on to reveal that Capaldi had come to his house for a secret audition. "We made a home video of him being the doctor and I showed it around and everyone said 'yes, that's the Doctor'. Jenna Coleman, who stars as Clara said: "I'm so excited Peter Capaldi is the man taking on the challenge of becoming the 12th Doctor. With Steven's writing and his talent I know we'll be making an amazing show with an incredible incarnation of number 12. I can't wait to start this new adventure." Ben Stephenson, controller of BBC Drama Commissioning said Capaldi was "an extraordinarily talented actor who can seemingly turn his hand to anything". "We can't wait to premiere his unique take on the Doctor on Christmas Day and we are sure he's going to become one of the all-time classic Doctors." And Armando Ianucci, the man who created the character of Malcolm Tucker tweeted: "There can't be a funnier, wiser, more exciting Time Lord than Peter Capaldi. The universe is in great hands."